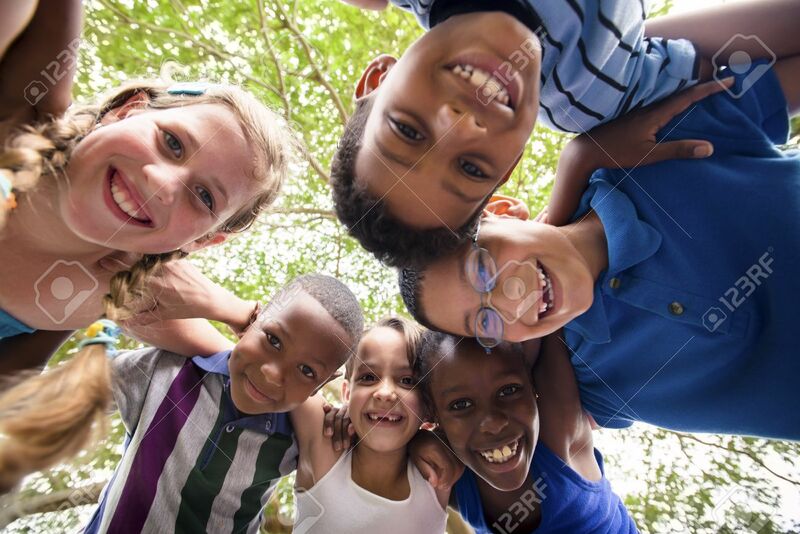 Group Of Happy Female And Male Kids Having Fun And Hugging Around The Camera. Low Angle View Royalty Free Fotografie A Reklamní Fotografie. Image 16117246.